Language is a tool for people to communicate with others, relaying ideas more accurately being the goal. At our school, we emphasize the acquisition of superior communicative abilities in our students. The building blocks of language are phonics and grammar, which leads to increased ability in regards to speech, reading and writing. By recognizing this and presenting it in a fun and enjoyable manner, our students are able to make phenomenal progress at communicating with others. The continued growing importance of Math in the professional field is an undeniable fact. 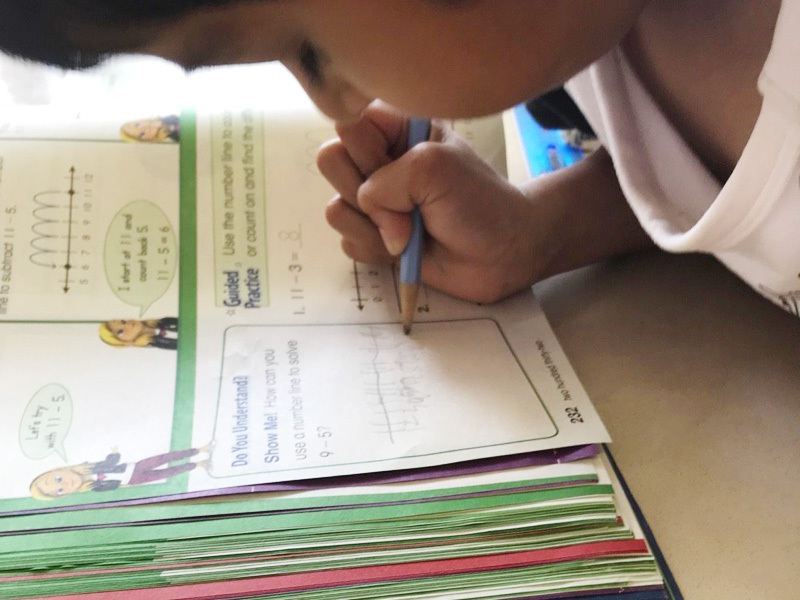 In our Math classes, we teach the recognition and basic usage of numbers, allowing them to make calculations using addition, subtraction, multiplication and division. At the next step, they learn shape recognition, fractions and angles. 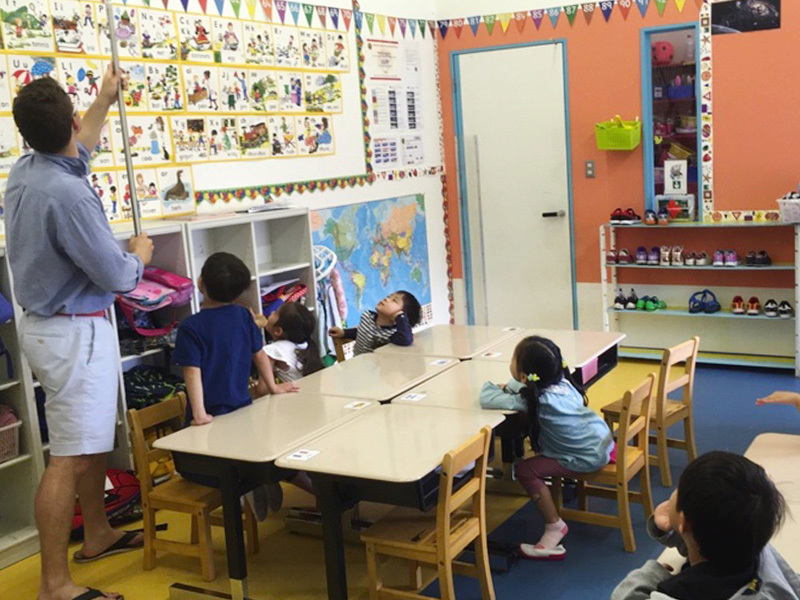 Our students also learn about time, days, months and years, and measuring in feet and metrics. Understanding the world around us is the goal of Science, a facet that our children are curious about from the day they are born. Answering the question “WHY?” is the endless task of our teachers. In our Science classes, we teach how to make solutions and mixtures by mixing colors for Chemistry. For Physics, we teach them measurements, volumes, weights and about magnetism. For Biology, our students learn a lot about the nature environment by seeding plants and examining insects. We offer Earth Science in order to learn about stars. We also teach them about Ecology by making compost through spoiling food. 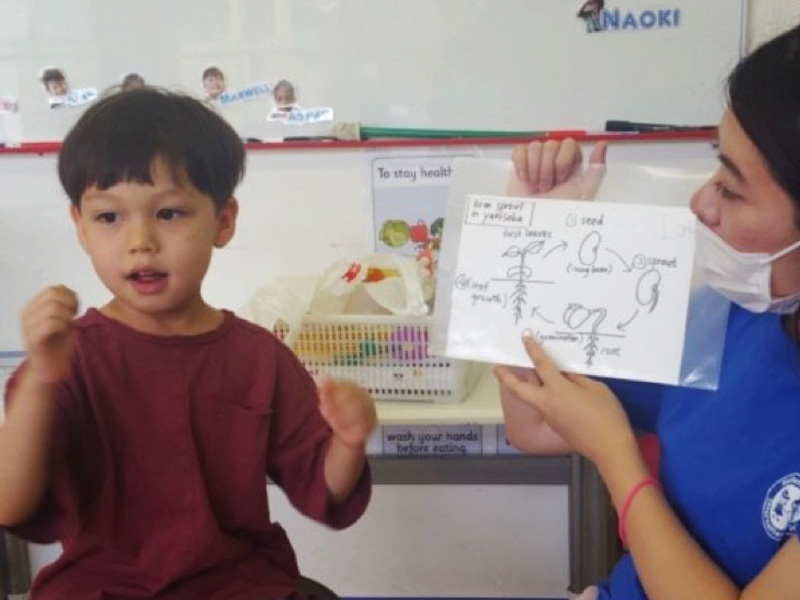 The navigation and understanding of the physical world around us is an important technique to develop during childhood. 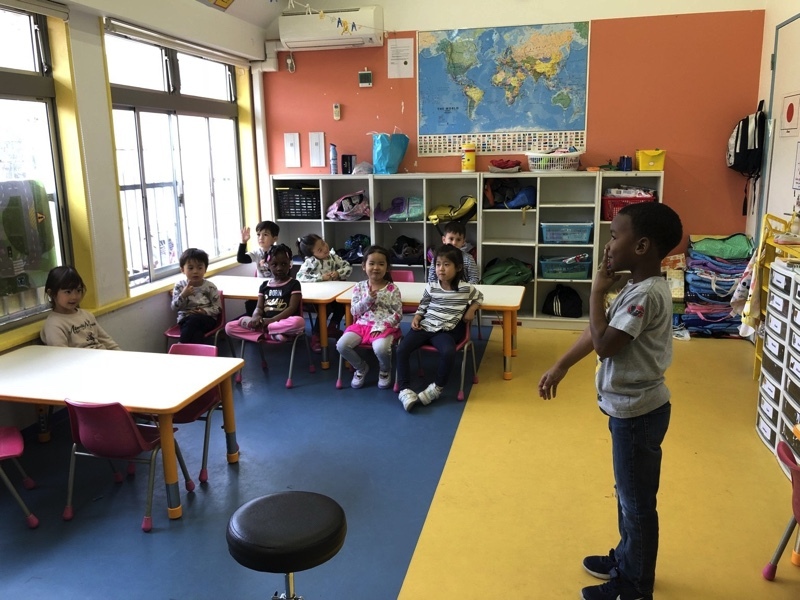 In class, we teach our students basic directions such as up, down, left, right and so on, as well as the cardinal directions, north, east, south and west. 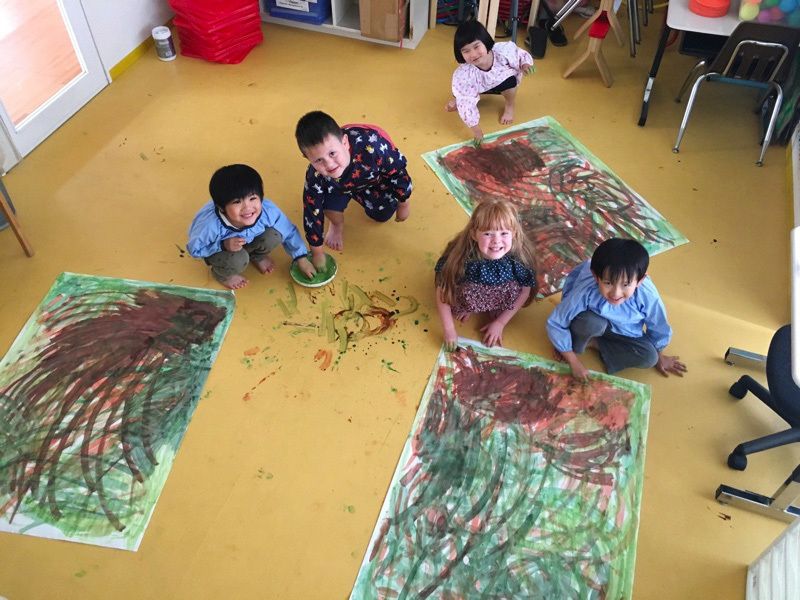 At the next step, they can learn about the locations, names, flags, spoken languages, food, cities and landmarks of countries from around the world. Moreover they learn about various climates and seasonal differences, also gaining an understanding of oceans, lakes and rivers. By introducing this topic to them at this time, we are helping them to also attain a greater understanding of the classmates around them. Music is an art which grips the heart and can influence it through a single sound. That is the joy of music. 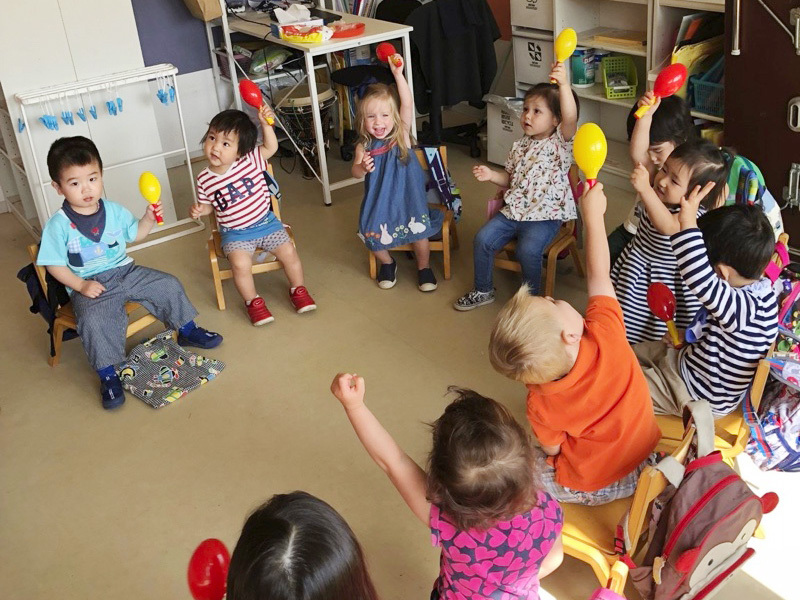 In our music classes, we provide songs for singing as well as music to dance and move to. We also have keyboard lessons during class time. Individual drum, violin and guitar lessons are available for an extra charge. The visual medium of art is a method to express the heart and mind of the individual to others. To this end, we provide coloring, drawing and painting lessons through the use of various techniques. Our students also learn to express themselves through crafts using glue, paste, tape, folding, cutting and tearing. By these means we wish to give them another opportunity to grow emotionally and mentally. A healthy body gives birth to an active mind. 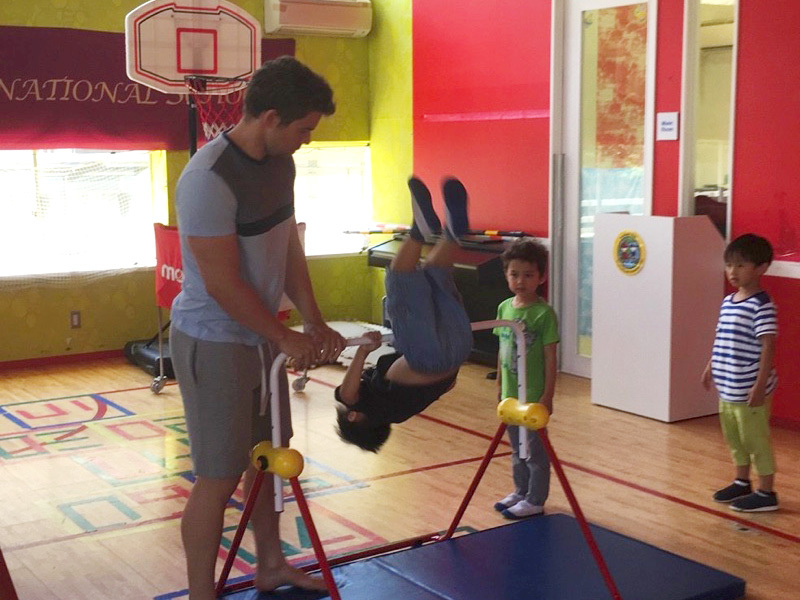 We offer ball practice, soccer, tennis, dodge-ball, gymnastics, swimming, ballet and other activities. Everyday there is a different PE class, allowing them to participate in various activities while having fun and building stronger, healthier bodies. In order to understand more about the cultures of our students, we offer Christmas, Halloween, Thanksgiving and St Valentine’s day as international events. 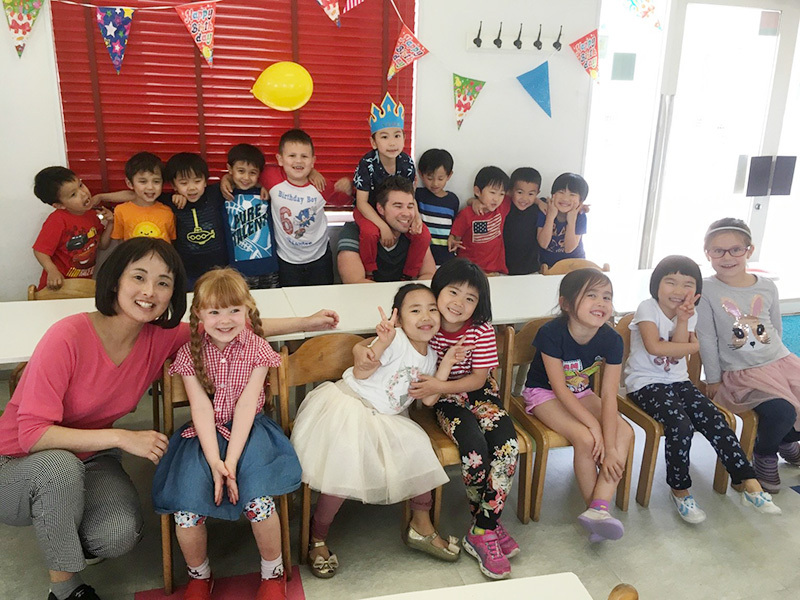 We also offer Hinamatsuri (girl’s day), Tangono-setsuku (boy’s day), Setsubun and Tanabata as Japanese events. In addition, we have other events such as birthday celebrations, Sports Day, Culture Day, strawberry picking, potato digging, etc. All parents and guardians may participate in these events and is strongly encouraged.